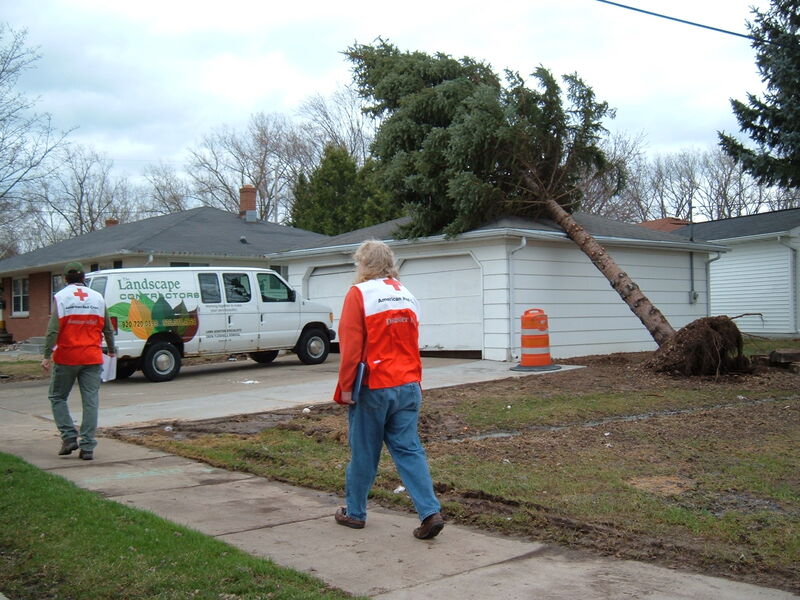 The American Red Cross Lakeland Chapter has dispatched disaster volunteer, Diane Knutson, of Sturgeon Bay, to Little Rock, Arkansas to assist with the April tornadoes that devastated so much of the south almost one week ago. This will be Knutson’s seventh national disaster deployment. She has assisted for Hurricane Wilma, Wildfires in California, Tornadoes in Arkansas and Lakewood, WI, in 2008 helped with the floods in East Central and Southern WI and in 2009 assisted with the Red River Valley Floods. For this assignment she will be deployed as a supervisor for damage assessment. 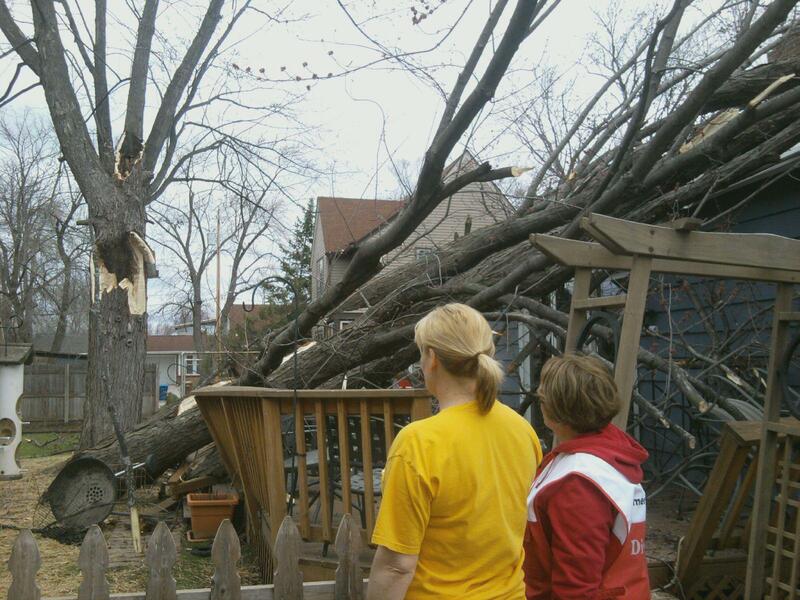 Tornadoes, floods and severe weather have uprooted lives across the country. 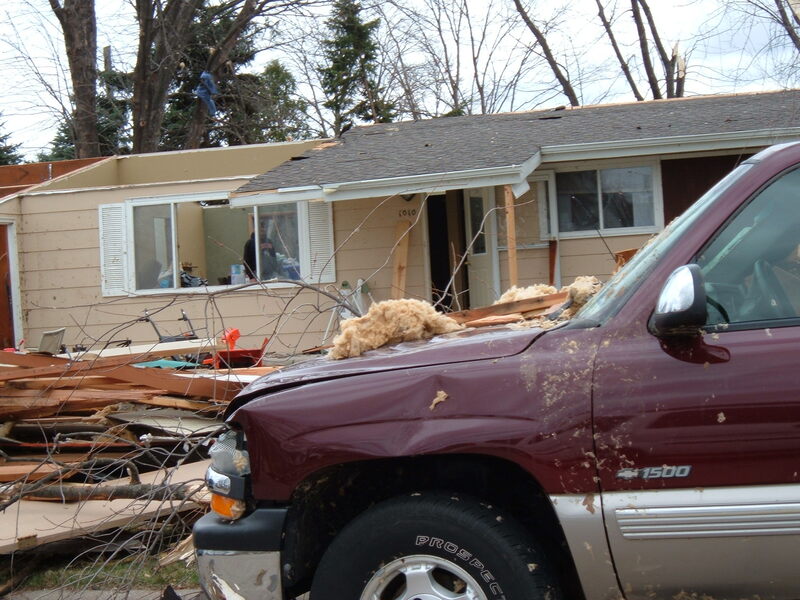 The April 27 storm system tore across the south, causing widespread destruction in Alabama, Arkansas, Georgia, Mississippi, Oklahoma, Texas andVirginia. In Alabama alone, early estimates indicate that 7,000 to 10,000 homes may have been damaged or destroyed. The Red Cross is operating 16 shelters within that state. Red Cross President and CEO Gail McGovern visited tornado ravaged Alabama and Mississippi over the weekend and pledged that the Red Cross will do whatever is possible to ease the suffering of those affected. 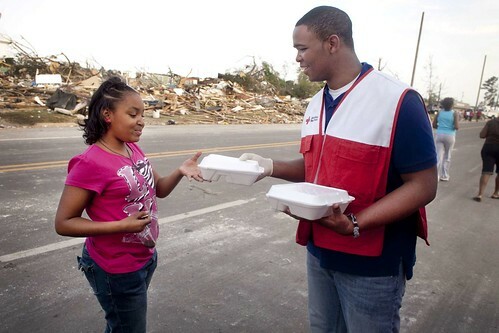 Red Cross volunteer Corliss Booker, age 16, hands out food to Yayla Sanders, age 11. 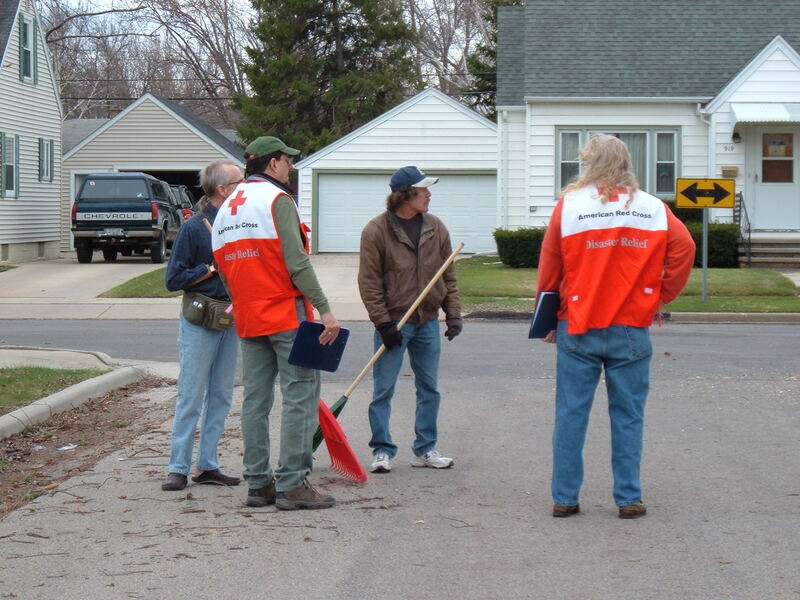 Since March 31, more than 3,700 Red Cross workers have assisted with relief and recovery efforts in 16 states. The Red Cross has served more than 513,000 meals and snacks, and opened more than 120 shelters providing more than 8,300 overnight stays. The Red Cross will remain in these affected communities, partnering with other agencies and community resources to ensure residents have the help they need to get their lives back on track. The Red Cross will also continue providing health services and emotional support for those who face the daunting task of rebuilding. Since March 31, the Red Cross has provided more than 6,200 health and mental health contacts. “I give to the American Red Cross every year and it has come full circle,” said Sue Allen as she stood in front of her damaged home inAlabama. The severe spring weather is not over yet and heavy thunderstorms are expected throughout the MississippiandOhioRiver basins, bringing the potential for flooding to the region. How to Help: The Red Cross depends on financial donations to help in times of disaster. 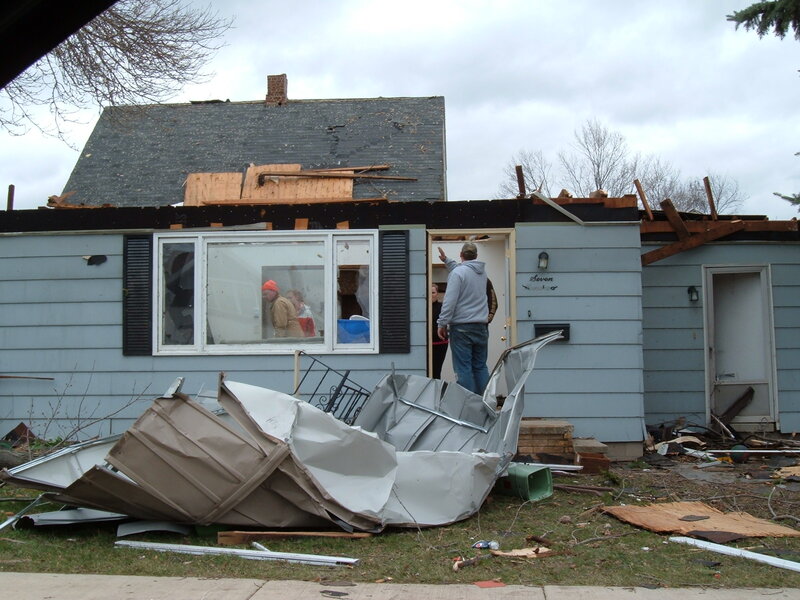 Those who want to help people affected by disasters like wildfires, floods and tornadoes, as well as countless crises at home and around the world, can make a donation to support American Red Cross Disaster Relief. 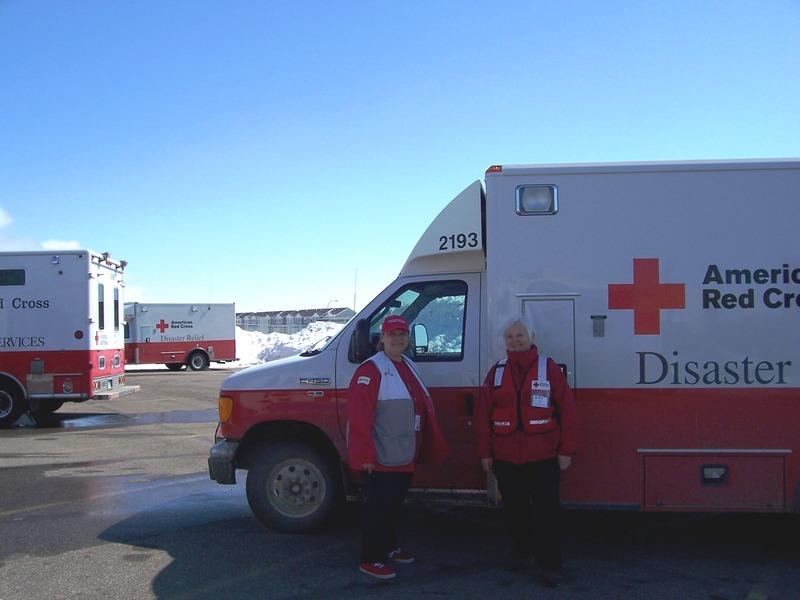 This gift enables the Red Cross to prepare for and provide shelter, food, emotional support and other assistance in response to disasters. Visit www.redcross.org or call 1-800-RED-CROSS, and people can also text the word “REDCROSS” to 90999 to make a $10 donation. Contributions may also be sent to local American Red Cross chapters or to the American Red Cross,P.O. Box 37243,Washington,DC20013. About the American Red Cross: The American Red Cross shelters, feeds and provides emotional support to victims of disasters; supplies nearly half of the nation’s blood; teaches lifesaving skills; provides international humanitarian aid; and supports military members and their families. The Red Cross is a charitable organization — not a government agency — and depends on volunteers and the generosity of the American public to perform its mission. For more information, please visit www.redcross.org or join our blog at http://blog.redcross.org.